The Written Down Replacement Cost (WDRC) (or Written Down Value) of an asset is its current replacement cost less accumulated depreciation. The written down replacement cost of an asset varies over time, in a fashion that depends on how the asset is depreciated, and what maintenance & renewal works are carried out on the asset. 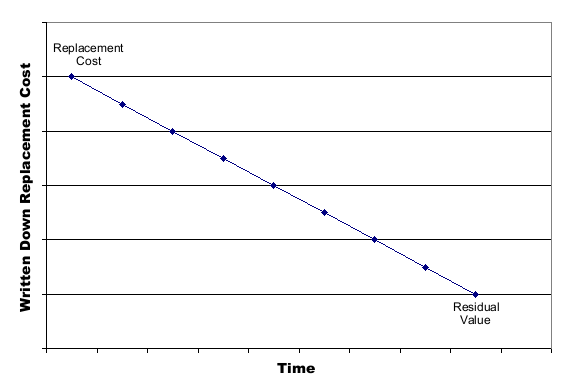 The following graph shows how the WDRC or an asset varies over tine if straight-line depreciation is assumed.